CRISIS: Mueller, Sessions and Rosenstein Must Be Removed Now! 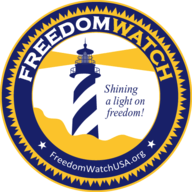 There's a petition on our website at FreedomWatchUSA.org. Sign the petition to have us bring our legal cases, which are in progress, to not only remove Robert Mueller, the special counsel who's out of control and doing all kinds of illegal and criminal acts, but also to force the resignation of Attorney General Jeff Sessions, as well as his Deputy Attorney General Rod Rosenstein. The president, that's Donald Trump, is headed down the primrose path to disaster. In fact, his own lawyers have no guts. They haven't really given him any advice or taken any action to protect him. And just yesterday there was a raid on the offices of the president's lawyer, Michael Cohen. That's outrageous. Did anything like this ever happen with regard to Hillary Clinton and the Justice Department at that time? No. Because this Justice Department, run by an attorney general who puts his head in the sand, who's more concerned about protecting himself - he's under investigation by Mueller - than actually protecting his president that put him there. It's time for him to go, as well. So go to our website at FreedomWatchUSA.org. Read what we're doing. We are bringing cases to have Mueller removed and also cases to have Sessions removed. I have complaints pending at the Inspector General's Office of the Justice Department and we have complaints that are going all the way up the line to appellate courts right now. We're not sitting around twiddling our thumbs like the president's lawyers. We're taking action. We are your Justice Department and I think you now see you have no government Justice Department, at least one that's going to be on the side of We the People. So go to FreedomWatchUSA.org and God bless you, God bless your family, and God save America.